al rew This coupon is valid and working as described. Select your product, go to the shopping cart, enter the promotional code and get 10% Off Your Next Order at Gamer Supps. David This deal was verified and it is working as described. Select the items and enter the promo code <BREEZY> at checkout to get 10% off any order at Gamer Supps. German This deal works as described. 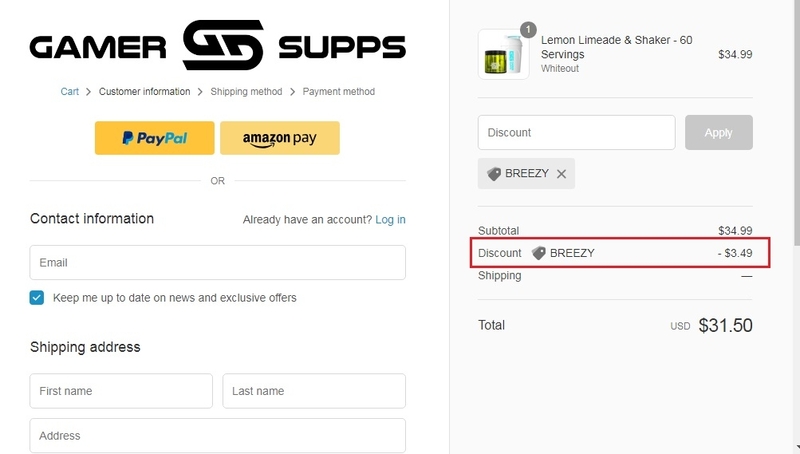 Go to the web site, add your item to cart, proceed to checkout, enter promo code <BREEZY> and get 10% off any order at Gamer Supps.